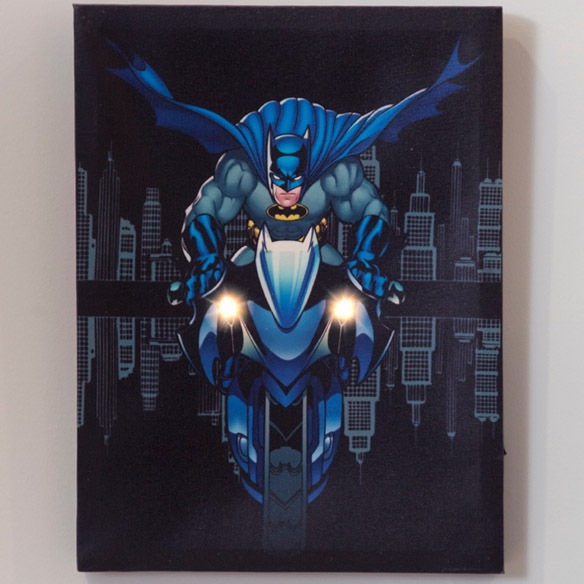 The Dark Knight delivers justice on two wheels with the DC Comics Batman Batcycle Lighted Canvas Wall Art. 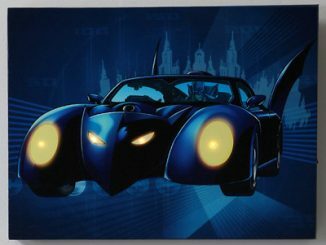 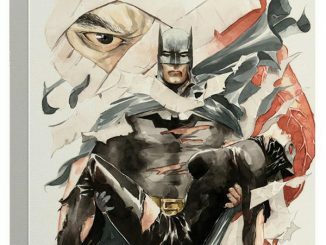 Batman patrols the streets of Gotham City on this 12″ x 16″ canvas art, lighting up the night (and your room) with the Batcycle’s headlights. 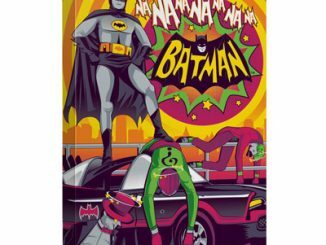 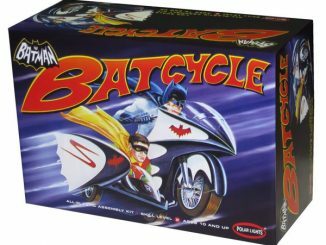 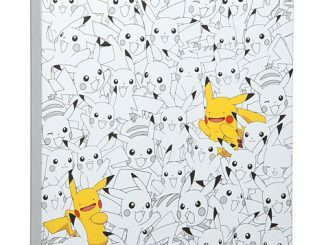 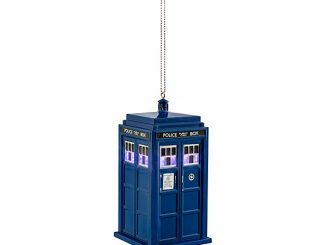 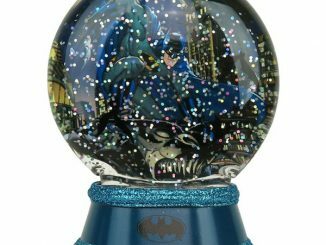 The DC Comics Batman Batcycle Lighted Canvas Wall Art is available for $29.50 at Hot Topic.